The Kino Flo 2’x4 bank and its larger cousin the Kino Flo 4’x4 bank were the original ‘green’ lights invented by Kino Flo back in the 1990s. And they’re still firm favourites with cinematographers 20 years later. These lamps provide a relatively compact and very efficient way to deliver soft light. 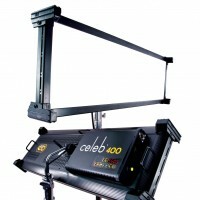 They produce less heat and fit into smaller spaces than traditional film lights. Kino Flo lamps are used in all our fixtures. 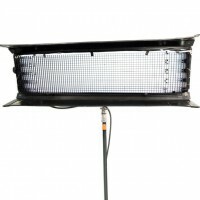 They match daylight and tungsten and are unique to Kino Flo. .
Are the kino flo 2’x4 and 4’x4 banks flicker free? Yes, they are. 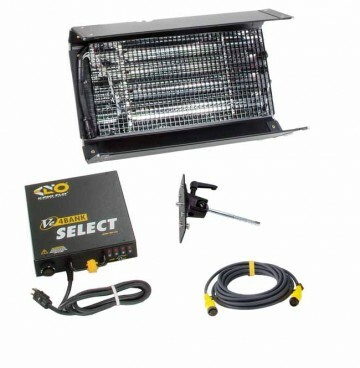 We only supply Kino Flo’s own True Match lamps in the fixtures we hire. We believe these really are the best on the market and they’ll give you consistent, flicker free light every time. How do I attach a kino flo to a stand and which stand should I use? 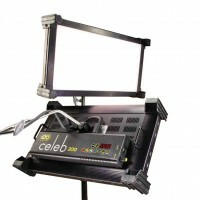 The kino flo kit comes with a 3/8″ lollipop that clamps onto the mounting plate on the back of the fixture. We suggest that a C stand is the best stand for the job. But don’t forget to use sandbags for your own, and the lamp’s safety! Can you mix daylight and tungsten tubes in Kino Flo fixtures? Yes we supply both versions of the colour temperature tubes, choose whatever combination suits you. How do I change the tubes in Kino Flo banks? They are easy to change. The wiring is colour coded, so just match the correct colour at each end. To release and attach, just press in the knob on the plug. But do be careful as the tubes can be fragile (even though they have safety coats on them). We supply a foam box tube case to protect them in transit. Quick bit of maths please: required Please check your adding up. Total of 1 + 6 please. Quick bit of maths please: required Please check your adding up. Total of 2 + 1 please. Quick bit of maths please: required Please check your adding up. Total of 6 + 6 please. thanks for forwarding on information about the Kino Flo 2’x4 bank.